Juror Selection Error Means New Trial in Florida Car Accident Case – Pelham v. Walker | The Law Firm of Anidjar & Levine, P.A. In Pelham v. Walker, Florida’s Second District Court of Appeals considers an important question of juror impartiality in a Florida car accident case. 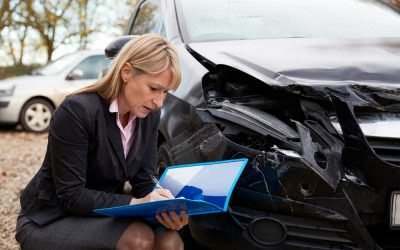 Ms. Pelham sued Ms. Walker for negligence after the two were involved in a car accident in 2008. Following trial, a jury awarded Pelham $36,400 in past medical expenses and past lost earnings. Finding that she didn’t suffer any permanent injuries, the jury didn’t award Pelham any damages for future lost earnings, future medical expenses. It also didn’t award any noneconomic damages. The trial court denied Pelham’s request that Juror G be removed for cause from the jury panel. Parties in car accident and other trials are given a limited number of “peremptory” challenges by which they can have potential jurors removed for a wide variety of reasons, but Pelham had already used all of hers on other potential jurors. On appeal, the Second District found that the lower court abused its discretion. “We conclude that Juror G’s answers during voir dire demonstrated a reasonable doubt about her ability to be impartial and that the trial court therefore abused its discretion in denying Pelham’s challenge for cause to Juror G,” the court concluded. Specifically, the court said Juror G’s stated defense-oriented background and skepticism of noneconomic damages meant that Walker started the trial with an advantage over Pelham. Although Juror G said during further questioning that she could “follow the law” and fairly evaluate the case, the court said she never recanted her previous statements. “Although the parties had agreed before trial, and the trial court ruled accordingly, that evidence of Pelham’s disability would not be introduced, this matter became relevant when the defense opened the door by eliciting Pelham’s daughter’s testimony…” the court held. As a result, the Second District reversed the judgment and remanded the case for new trial. If you or a loved one has been injured in an accident in Florida, contact the South Florida car accident lawyers at Anidjar & Levine. From offices in Ft. Lauderdale, we serve clients throughout the area, including in Hialeah, Boca Raton and Pompano Beach. Call us toll-free at 800-747-3733 or contact us online to schedule a free consultation.